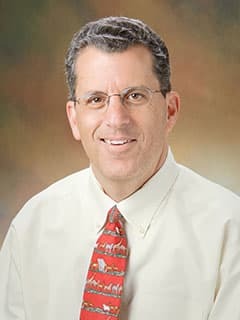 Peter C. Adamson, MD, is the current chair of the Children’s Oncology Group (COG) and provides oversight and scientific direction for this National Cancer Institute (NCI) supported research enterprise. The main focus of the COG is supporting and participating in the design of pediatric and adolescent clinical trials with the long-term goal of identifying and evaluating new cancer treatments that include immunotherapy, targeted cancer drugs and proton radiation therapy. Peter C. Adamson, MD, a pediatric oncologist at The Children’s Hospital of Philadelphia, will join other thought leaders in advising the scientific direction and goals of Vice President Joe Biden’s National Cancer Moonshot Initiative. Re-induction chemoimmunotherapy with epratuzumab in relapsed acute lymphoblastic leukemia (ALL): Phase II results from Children's Oncology Group (COG) study ADVL04P2. Pediatr Blood Cancer. 2015. doi: 10.1002/pbc.25454. Raetz EA, Cairo MS, Borowitz MJ, Lu X, Devidas M, Reid JM, Goldenberg DM, Wegener WA, Zeng H, Whitlock JA, Adamson PC, Hunger SP, Carroll WL. Comparison of in-patient costs for children treated on the AAML0531 clinical trial: A report from the Children's Oncology Group. Pediatr Blood Cancer. 2015. doi: 10.1002/pbc.25569. The impact of chemotherapy shortages on COG and local clinical trials: A report from the Children's Oncology Group. Pediatr Blood Cancer. 2015. doi: 10.1002/pbc.25445. G Salazar E, Bernhardt MB, Li Y, Aplenc R, Adamson PC.